An invention of the composer and pianist Franz Liszt, a masterclass attempts to reveal the creative process and its myriad intricacies. The students – and audience – watch and listen as the “master” teaches one student at a time. The student performs a single aria they have prepared, and the master provides advice on how to sing it, often including anecdotes about the composer, demonstrations of certain passages, and admonitions of common errors. Nashville Opera’s General Director John Hoomes feels that, “For young artists, the masterclass experience is an invaluable opportunity for an intimate one on one exchange of artistic ideas and vocal traditions with a more seasoned professional. As an audience is sometimes present, this also adds an element of performance which enhances the intensity of the process. I love the way masterclasses offer a young singer the freedom to express their most private artistic thoughts and technique in a safe and nurturing environment, thereby deepening their connection to their art.” Celebrating his 25th season with Nashville Opera, John Hoomes returns to Pensacola in March as stage director for Florencia in the Amazon. Mezzo-soprano Camille Sherman (who sang for Hoomes in a January 2018 masterclass arranged by Pensacola Opera) shared that she “… found the masterclasses to be very valuable, not only for the work we did in the moment, but for the connections/contacts it provided for the future. Being able to have insight from these experienced professionals was so helpful because it applies directly to what we are doing in our auditions and performances, and it gave us all some great new perspectives. I got so much out of it!” Joining Portland Opera during the 18/19 season as a member of their young artist training program, Camille returns to Pensacola in January as Stephano in our production of Romeo & Juliet. On Saturday, October 6th, we have the opportunity to participate in a masterclass when Maestro Joseph Mechavich, a celebrated pianist, coach, and conductor visits Pensacola, presenting a masterclass with this season’s Artists in Residence. Presented in the Pensacola Opera Center, Maestro Mechavich’s masterclass is free and open to the public. I hope you’ll join me as we are offered this rare glimpse into the creative process. 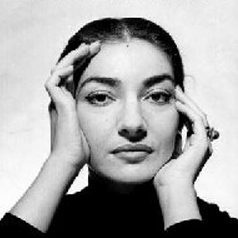 *On Feburary 8, 2019, Pensacola Little Theatre and Pensacola Opera present the first of six performances of a collaborative production of Terrence McNally’s play, with our Artists in Residence portraying the young singers and PLT Artistic Director Kathy Holsworth as the great diva Maria Callas. Performances on February 8, 9, 10, 15, 16, & 17 will be presented in the Courtroom Theatre.